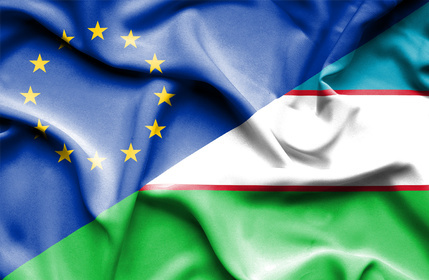 On the occasion of the ninth round of the EU-Uzbekistan Human Rights Dialogues to be held in Tashkent on 24 November 2015, the Association for Human Rights in Central Asia and the International Partnership for Human Rights issue a joint briefing of concerns about ongoing human rights abuses in Uzbekistan. The briefing describes unprecedented restrictions on civil society in Uzbekistan. Civil society space has been very limited in Uzbekistan already for a number of years, however the few remaining independent activists who monitor, document and inform the international community about the violations of the human rights in the country have been facing increased pressure and harassment. Large numbers of people have been sentenced to prison after unfair trials for serious criminal offenses on trumped-up charges in retaliation for their opposition or criticism of the authorities. Usually, such convictions rely on confessions obtained through torture. Allegations of torture are routinely ignored by courts when raised by defendants in trials. The exact number of prisoners serving sentences on politically-motivated grounds is impossible to determine, but experts from human rights organizations estimate that in Uzbekistan there are some 10-12 thousand political prisoners, including civil society activists and leaders of religious organizations and communities. In Uzbekistan, the practice of arbitrarily extending prison terms based on unsubstantiated allegations of disobedience of prison rules under Article 221 of the Criminal Code has been increasingly common over the last decade. This leads to many prisoners serving de facto life sentences in cruel, inhuman and degrading conditions, often amounting to torture. The application of Article 221 in practice is often clearly politically-motivated, targeting particularly imprisoned human rights defenders, journalists, political opponents and people convicted of crimes related to religious extremism. Extensions of sentences under Article 221 are reportedly handed down in unfair closed trials which violate principles of justice and objectivity and international fair trial guarantees. Since 2004, Article 221 of the Criminal Code has been used in increasing numbers of cases and has now become one of the main tools for repression of prisoners who are perceived as critical of the authorities. Our organizations ask the EU to raise these issues with the Uzbekistani authorities during the dialogue and request immediate reaction to pressing cases.